Like cautious children learning to swim or ride a bicycle without training wheels, an astounding number of agencies have done little more than dip their collective toes into mobile space waters. Rather than develop ad campaigns tailored specifically for smartphone users, many are content or are resigned to posting staid print and broadcast copy on company websites rather than creating dynamic and interactive copy targeted at savvy, often prosperous mobile phone users. - Spyder Trap reports that 70 percent of mobile searches result in action within one hour. So why do agencies hesitate going after this low hanging golden fruit? Like aspiring swimmers and bicyclists, the simple answer is fear; not of drowning or falling, but rather of being stymied by technology and saddled with added expenses. Such fears are unfounded. Mobile technology, while advancing, is actually becoming simpler not only for smartphone users, but also more importantly--as it relates to this article--for agencies that see the value in crafting ad strategies and campaigns geared specifically for this burgeoning market. 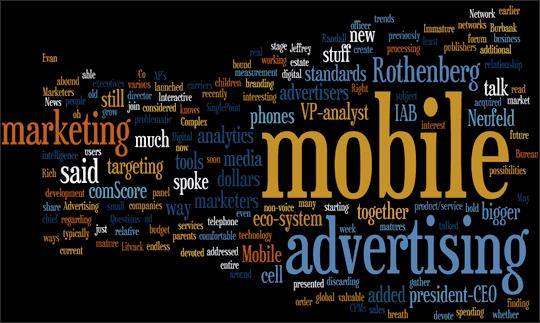 Agencies no longer need to create mobile campaigns in a vacuum. A growing number of third-party developers have formulated customizable systems to enable creative firms, from scratch, to quickly and easily build both branded content for websites and specialized apps complete with such bells and whistles as thumb-friendly buttons, oversized fonts for multi-taskers on the go, concise headers and video images. Much like enterprise data center operations, many of these companies assume full responsibility for managing back-end architecture, allowing agencies to do what they do best: create and deploy memorable campaigns. Many mobile specialists also perform such services as optimizing video for mobile screens, ensuring proper dimensions for optimal mobile viewing. Still other website consulting and marketing firms offer solutions that provide easy-to-use platforms that agencies can use to create their own in-house mobile experiences without the need for complex technical or coding expertise. As simple to use as a word processing program, these platforms feature self-editing features for fast text and image content changes for changing marketing or sales tactics virtually in real time. Some also enable the integration of Twitter and Facebook feeds for social media campaigns, as well as the importation of data from Google Analytics and APIs from similar programs and applications. Given the growth figures of the mobile market, which are certain to only accelerate for the foreseeable future, agencies that are slow to move clients into this space risk losing them and significant revenue. Fear or uncertainty about the technology and added costs are the only factors that have so far kept stragglers on the sidelines. The emergence of third-party developers and inexpensive, easy-to-use platforms should help even the most reluctant swimmers into the pool.